Our non-woven geotextiles are produced from 100% synthetic staple fibers needle punched together to form a high quality, dimensionally stable fabric. The synthetic fibers are specially formulated to resist deterioration due to exposure to ultraviolet light. The inherent chemical nature of synthetic resin is inert to commonly encountered soil chemicals as well as a wide range of industrial and household chemicals. The fabrics are non-biodegradable, will not rot or mildew, and are resistant to damage from insects and rodents. The standard products are offered in weights ranging from 4 – 16 ounces per square yard and provide many cost effective solutions to conventional construction problems. 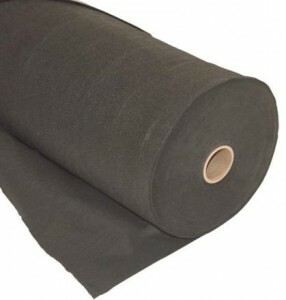 Non-woven geotextiles are engineered for filtration, soil stabilization, separation, drainage and gas transmission, cushion and liner protection applications. Needle punched non-woven geotextiles solve a broad range of geotechnical problems.